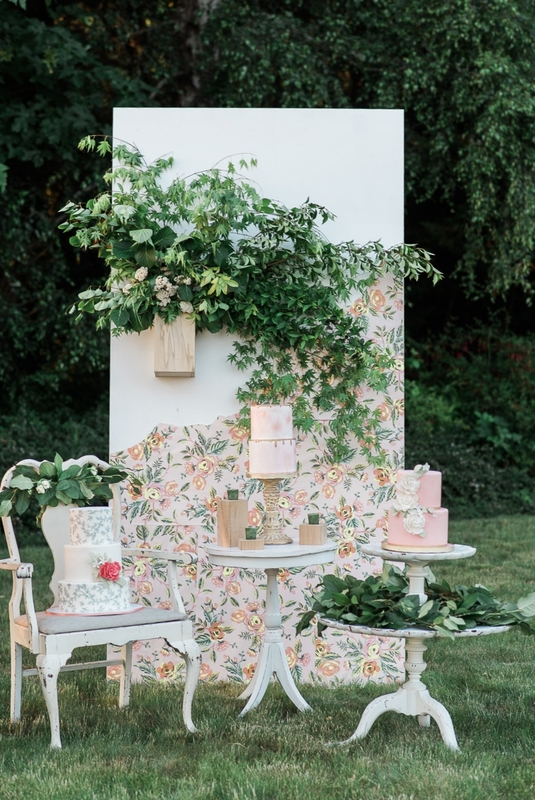 While not quite as exciting as choosing between vanilla buttercream frosting or chocolate ganache, the choice to hire a day of planner or wedding coordinator is one of the biggest decisions you’ll need to decide between. If you’re a DIY bride and taking it all on yourself, kudos to you, you’re far more organized than me. If you need some help making your dream day a reality, keep reading. A day-of-planner is just like it sounds, a person who handles managing the day of your wedding. This person is who you can lean on to make sure everything gets started and ends on time, and all the people do what they need to. Not to mention, they’re the person who will keep you from knowing anything that’s gone wrong, because they’ll have corrected it already. With a day of planner, you and your spouse will have to do more planning and handle contact with all your vendors. You’ll be your own accountant, secretary, and researcher. Day of planners sometimes offer you a list of vendors and resources for you to do your own digging, but it really is up to you. Deciding to use a day-of-planner can be a great decision for an organized bride or groom who just doesn’t want the stress of ringleading the big day or a who is throwing a smaller, less elaborate wedding. As you can imagine, hiring this type of planner is also significantly less expensive as you are only paying for one day of work. Don’t be fooled, though, most planners still cost their fair share, and you’ll want to budget for that. A day-of-planner in the Seattle area ranges between $500-$2000 depending on who you choose and how much you contribute. Want to hand over the reins and let someone else do all the heavy-lifting? Then a wedding coordinator is for you. Wedding coordinators handle all the details of your wedding, from your first meeting to making sure every guest leaves the venue. You are essentially hiring someone to manage your wedding, and to take all the stress of the tedious tasks away from you. Along with all the things you can expect from a day-of-planner, your wedding coordinator (also referred to as a wedding planner) is the point of contact between you and all the people you hire to be a part of your wedding. They’ll know everyone in the industry and save you all the stress of sending out a million emails and making 500 phone calls. You still get to be in charge of all the details, but it’ll be easier and more enjoyable. Wedding coordinators are a great choice for couples who are planning a grand (read expensive), elaborate, involved wedding. When you’ve sunk thousands into your celebration, it’s worth it to spend a little more to make sure it doesn’t go from celebration to disaster, which unfortunately can happen. Don’t believe me? Next time you are at a big wedding, try and catch a glimpse of their wedding coordinator. Odds are they’ll be giving command after command and running all over the place keeping everyone in line and on time. Even the most professional wedding vendors face new challenges, and your wedding will be no different. Your wedding coordinator is a director and support that all your vendors will look to when they need assistance. I know I wouldn’t have been able to enjoy my wedding nearly as much if I had to keep an eye on all the proceedings. I’m sure something went horribly wrong and I still, to this day, don’t know anything about it. Frankly, I don’t want to and don’t need to. A wedding coordinator really can be priceless. Wedding Coordinators range in price, and some offer hourly rates. Most, however, offer a flat rate based on your needs. Depending on who you decide to hire, and how much you plan to contribute to planning, expect to spend somewhere between $1,200-$10,000 for a Seattle area coordinator. A few things to keep in mind. Deciding to use a day-of planner, wedding coordinator or do it all yourself is something you should decide fairly early on. Once you’ve picked a location, date, and dream budget, realistically consider how much you can handle with the free time you have and how hiring a planner/coordinator will affect your budget, your wedding day, and your stress levels. Also, don’t feel like it’s all or nothing. Many day-of-planners are willing to extend their services to help you plan, but you’ll need to be willing to pay for the extra service they’re providing you.